Film buffs have a good reason to celebrate, Partition-themed "Garm Hava", considered a milestone in Indian cinema, has been fully restored and will be screened at the upcoming International Film Festival of India (IFFI) in Goa. The 1973 Hindi-Urdu classic, directed by M S Sathyu, based on an unpublished Urdu short story by Ismat Chughtai and adapted for screen by Kaifi Azmi, is also ready for theatrical release. 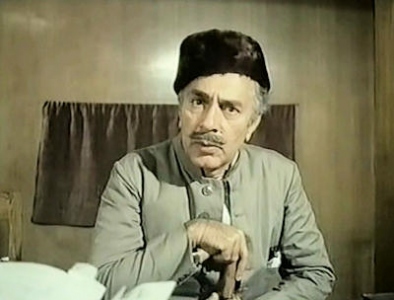 According to IFFI officials, the film, starring Balraj Sahni, Geeta Siddharth, Farooq Shaikh, A K Hangal and Jalal Agha, will be screened on November 25 as part of commemoration of 100 years of Indian cinema. The film deals with the plight of a North Indian Muslim family post-Partition as the protagonist (Sahni) faces the dilemma of whether to move to Pakistan or stay back. One of the most poignant films ever made on the Partition, it was also India's official entry to the Oscars in 1974. The restoration process was initiated by Subhash Chheda, a Mumbai-based distributor who runs a DVD label Rudraa. The movie's negative was in a bad shape. Chheda proposed to Sathyu that he be given the responsibility of restoring the film – both audio and video segments – and the 82-year-old veteran obliged. Thus began Chheda's two-year-long elaborate effort to have an upgraded 5.1 and Dolby mixed version of Garm Hava, which was almost lost in the annals of time. "Restoration of a classic is very tricky and complex, as people remember the original movie forever - frame-by-frame, dialogue-by-dialogue, word-by-word," he says. "The project stayed under the scanners of the best creative and technical experts around the world for about a year. Almost 2,00,000 frames of 2K resolution were observed by all these experts again and again. The restoration and post-restoration of the movie consumed more than 5,00,000 man-hours of our technical and creative team and terabytes of space of our computers," Chheda told PTI. However, nothing has been added or deleted. "Everything has merely been enhanced to give a complete theatrical experience to the modern viewer," he says.